Character - Sith. Points: 16/21. Health: 13. 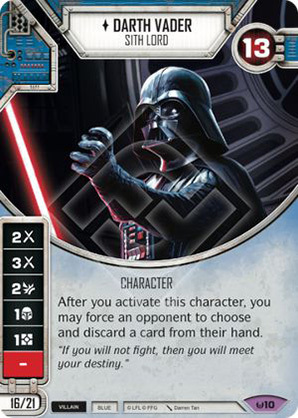 After you activate this character you may force an opponent to choose and discard a card from their hand. "If you will not fight, then you will meet your destiny."